Simple yet chic is the perfect description for this stunning 14k solid gold ring with natural diamonds and blue topaz. 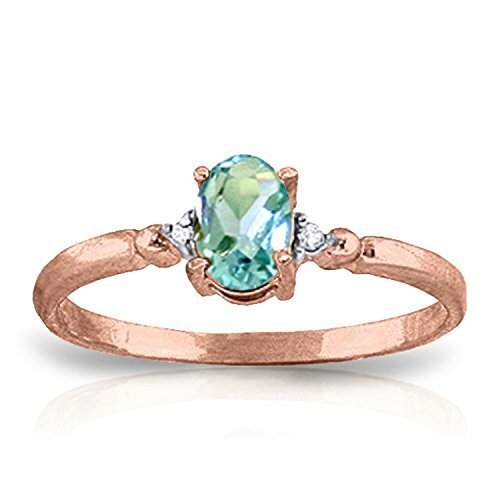 A simple, elegant gold band holds a .45 carat oval shaped natural blue topaz stone. The beauty of the gem is only emphasized by the two round diamonds that surround the stone. This ring makes a wonderful gift, particularly for those born in December who have blue topaz as their birthstone. It is also the perfect piece for those who desire the beautiful color and sparkle of blue topaz. This ring is simply elegant and can be paired with any ensemble to add a subtle splash of color.